Syrian refugees live amidst mud and raw sewage in tents originally set up for seasonal workers near the Lebanese village of Majd al-Anjar, along the Syrian border in the Bekaa Valley, in Lebanon, January 20, 2013. 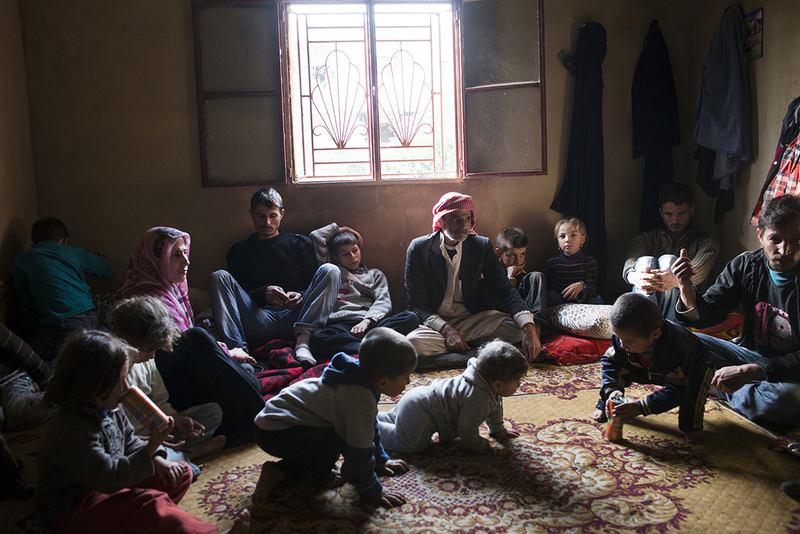 Lebanon has roughly 200,000 Syrian refugees already registered with the United Nations High Commission of Refugees, and a presumed thousands of others awaiting registration. The UNHCR estimates that the total number of Syrian refugees is over 600,000 in countries bordering Syria. Lebanon, unlike Turkey and Jordan, has avoided setting up typical tent camps for refugees, and so refugees are forced to live underneath commercial buildings, in makeshift tents, and with families around the country.